This casebook is part of the Graduate Tax Series. 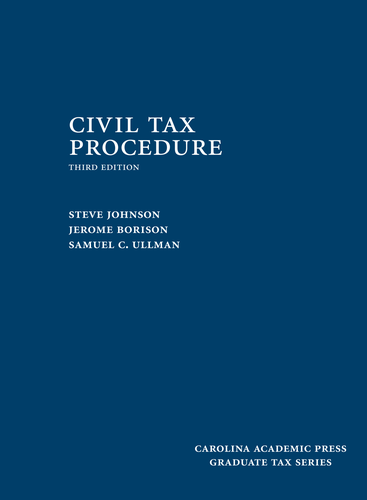 The book explores the practice of tax from the procedural perspective, dealing with the civil aspects of representing clients before the IRS. It has been updated to reflect the many changes to the practice since the last edition in 2008 and has an entirely new set of problems. The book is well-written, not too long and very capable of selective assignments whether the course is two, three or four credit hours, and whether the course is taught in the law school or in a graduate tax program.